Kevin Butler, played by actor Jerry Lambert, is probably best known as a representative of the Sony brand. He's been the VP of ridiculous titles for the PlayStation arm of Sony's operation in commercials for years. He scriptedly speaks about the glory of PlayStation as a gamer, and his supposed love for Sony's gaming consoles means he plays nothing else. Or, at least, that's how Sony's marketing department intended for things to go down. It's too bad, then, that Bridgestone tires hired Jerry Lambert to appear in one of their ads while excitedly gaming on Nintendo's Wii. Kevin Butler, the champion of everything that is Sony, had done something so unspeakably horrible that the PlayStation manufacturer has elected to throw down the legal gauntlet and sue his pants off. That's right, Jerry Lambert and Bridgestone Tires are being sued for their recent ad campaign. Here's what Sony offered to Kotaku regarding their decision to take legal action. 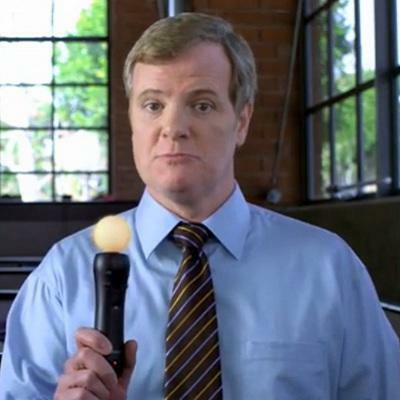 I'll admit it: the first thing I thought when I saw the Bridgestone ad with Kevin Butler rocking the Wii was something like, "man, Sony's gonna be pissed." They are, and I really can't blame them. It's not like Lambert played Butler in a single ad and moved on to other things. No, Lambert defined Sony for years. He even spoke at their E3 conference a few years back. Where do you stand on this suit? Justified or unnecessary?